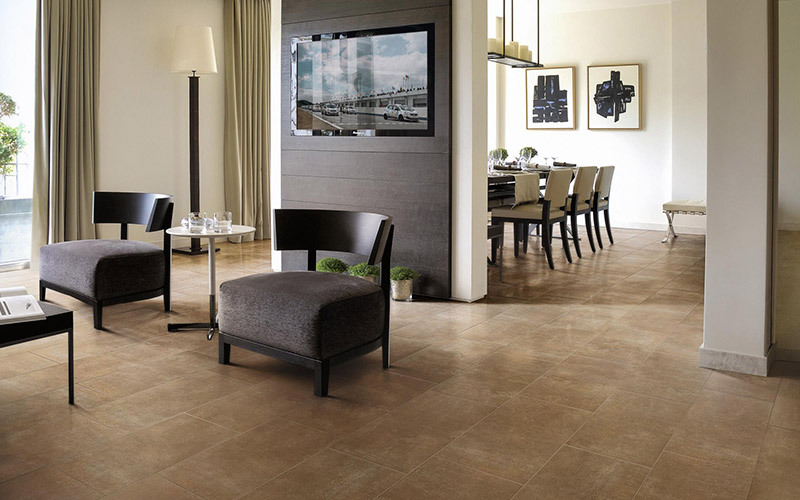 Tile flooring is one of the most durable floors on the market today. It can stand up to tracked in dirt, heavy traffic, pets and water like no other floor. That doesn't mean that it's a maintenance free floor choice! Are you keeping up with your recommended tile flooring maintenance? Sweep or dust mop 2-3 times per week. More often if your tile floor is in a high traffic area. Sweeping helps remove debris that can be ground into your floor causing damage. Once a week damp mop your floor with a mild detergent and clean water. Change the water frequently so you're not pushing dirty water into your grout and staining it. If your floor has scuffs or marks, use a damp (not wet) cloth to rub the scuff off and immediately dry. Another trick? Rub a tennis ball over the scuff mark until it disappears! Review your manufacturer's warranty regarding tile and grout sealant. These sealants protect your tile floor from both scratches and stains and over time they'll wear down. Top coat sealants should be reapplied every few years to keep your floor looking like new. Find other great maintenance tips as well as advice on common tile cleaning issues in our free Tile Maintenance Guide.